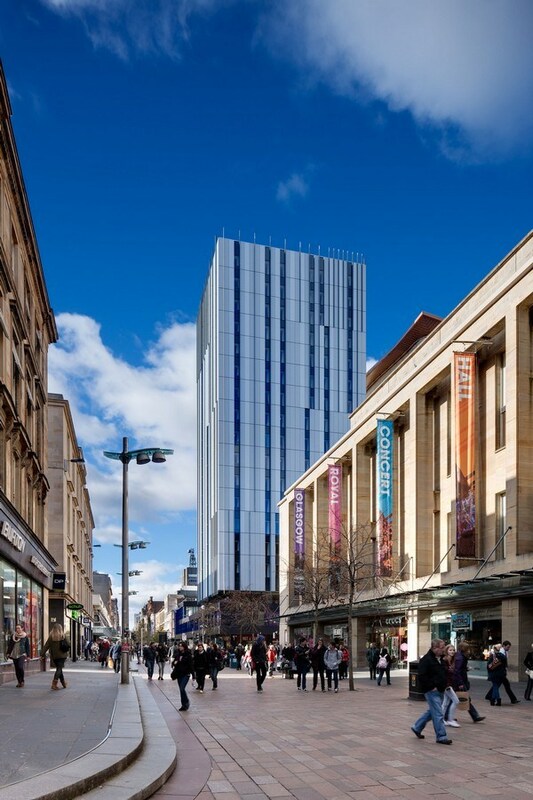 We select major examples of Glasgow Hotel Buildings, Strathclyde – both choosing completed Glasgow hotels but also new accommodation designs across Strathclyde. The nine-storey “budget boutique” development will have more than 370 bedrooms. 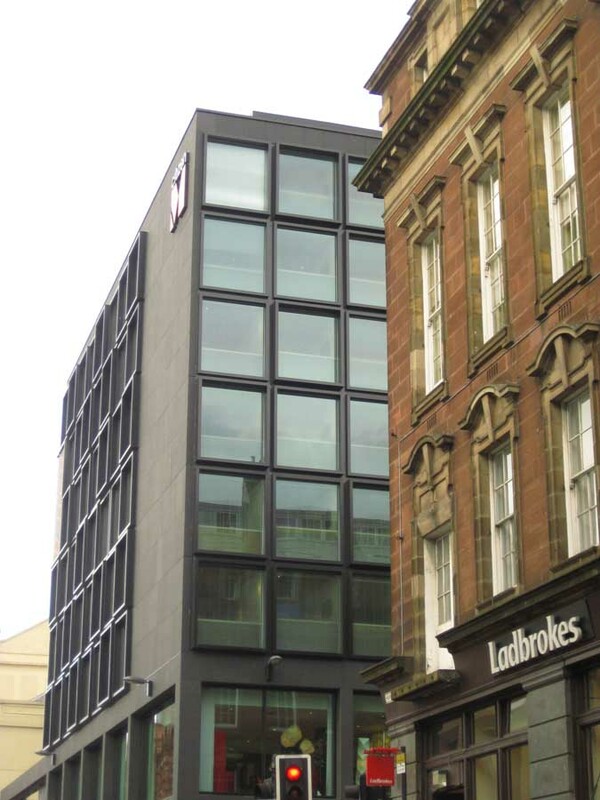 The site, near Central Station and the International Financial Services District, was to have been a new office and retail development by Buccleuch Property. Instead, the firm has agreed a deal with German hotel chain Motel One, which already has a hotel near Waverley Station, Edinburgh. The conversion of the empty St Andrew House office block into a 210 bedroom Premier Inn hotel by Ryder Architecture has been completed. This accommodation has 72 rooms, a gym and a brasserie. 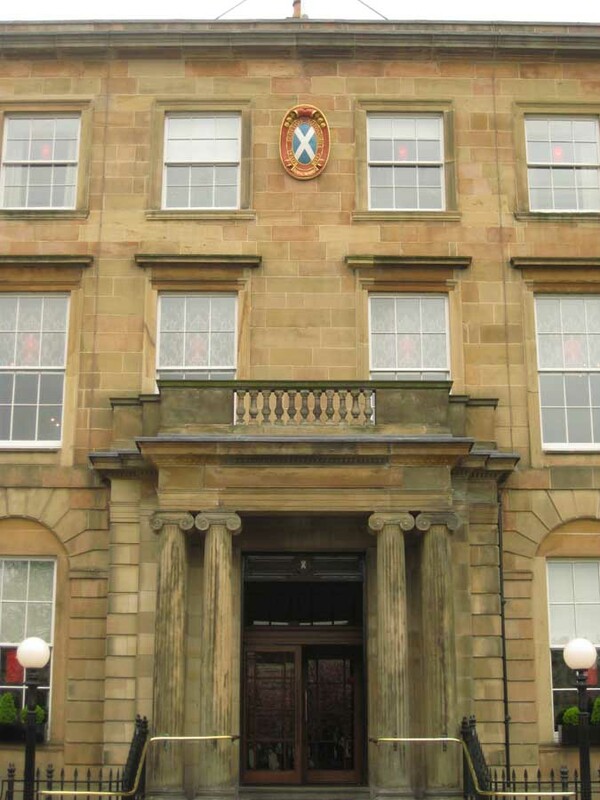 It is located just west of Blythswood Square in the west end. The rooms are formed within a former Greek Orthodox church. 104 bedrooms, reception, ground floor bar and restaurant. Icon building which launched the Bewleys name in the UK. One Devonshire Gardens has recently been refurbished as a boutique hotel with 41 rooms. This small Glasgow Hotel is formed from four Edwardian townhouses giving it a discreet unassuming air in some ways. The hotel retains original period features including stained glass windows, hand carved wood panelling, ceiling cornices and marble fireplaces. 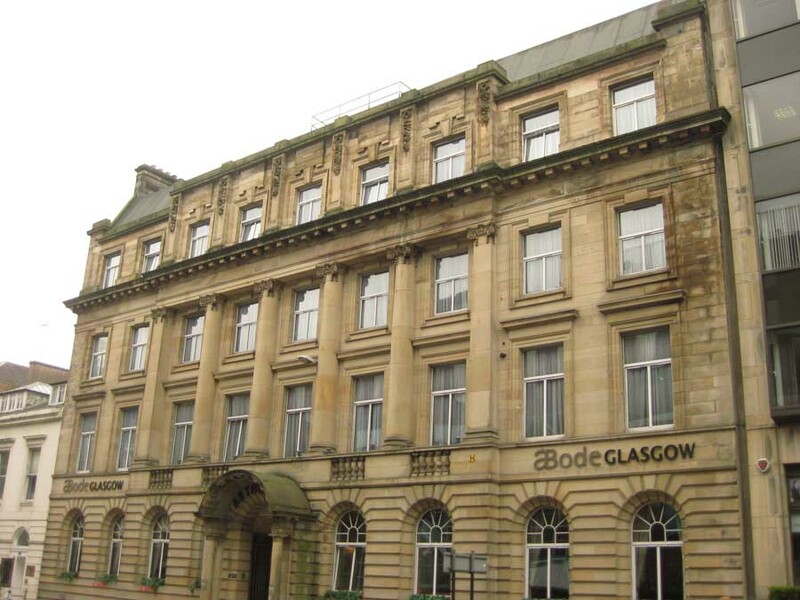 Unusual hotel in a building from 1911, the ABode Hotel Glasgow includes 2 restaurants, 2 bars, private dining & 65 rooms. restaurant, a spa. 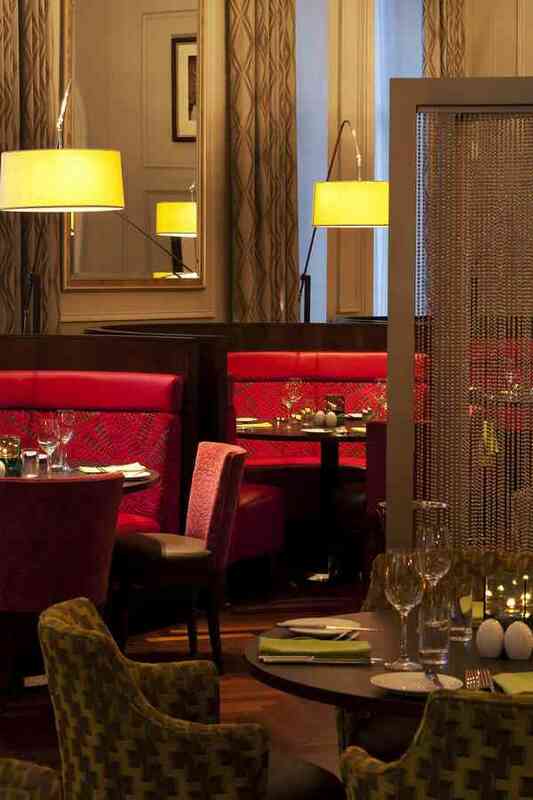 Park Inn Glasgow has 100 bedrooms, 2 restaurants, 2 bars, 1 spa and 3 meeting spaces. Oshi Spa has four separate treatment rooms and an aromatherapy steamroom. The accommodation has 72 rooms, a 24-hour bar, conference and banqueting facilities. It is located close to Central Railway Station. The hotel has a ‘designer’ theme based on the famous Glasgow architect.